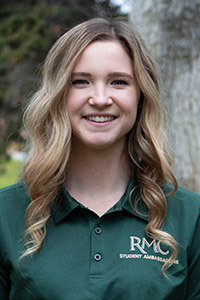 The Rocky Mountain College Student Ambassador Program is a great opportunity for selected students who are recommended to work closely with the Admissions Office to effectively contribute to the recruitment of prospective RMC students. Attending other campus events as deemed appropriate. 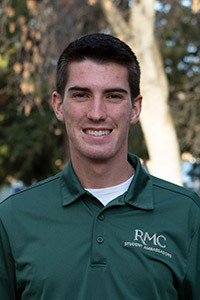 Qualities of a Student Ambassador include, but are not limited to, strong communication skills, both verbal and written, with prospective students, parents, and guests of Rocky Mountain College. Leadership opportunities are available. 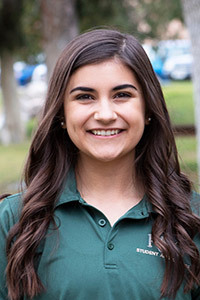 Members of the Student Ambassador Program will appoint ambassador leads who will help in the coordination of telecounseling, events and visits, and volunteer work. 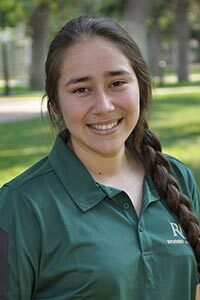 Besides being representatives of Rocky Mountain College, the Student Ambassador Program is a fun, close-knit team of future leaders. 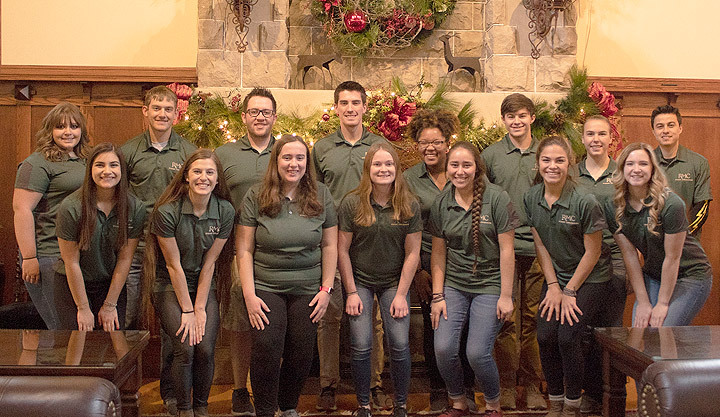 If selected, you will be making a commitment not only to attend and assist with college events, but to be accountable to your fellow ambassadors. To apply to, fill out the Student Ambassador Application. For more information, call 406.657.1057 or email us. What do you love about RMC? While in reality Rocky is a small college, it still has a large campus feeling, but continues to allow personalized classroom settings. Why did you choose RMC? 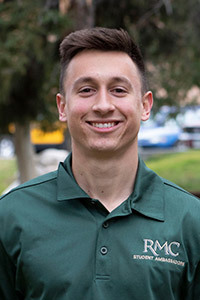 RMC provided me with the best opportunities academically, financially, and athletically; making it the most desirable location for my college career. What do you love about RMC? My awesome roommates, great and personal professors, and a family-like feel with the other undergraduates! Why did you choose RMC? I wanted a smaller school that took pride in academics while also succeeding in athletics. What do you love about RMC? I love the beautiful campus, the amazing people, and the small community feel that Rocky has to offer. Why did you choose RMC? I wanted a smaller school that was close to home that gave me the opportunity to succeed in school, as well as run track and cross country. What do you love about RMC? How small it is and the strong sense of community among staff and students. Why did you choose RMC? I was looking for a smaller school and immediately felt right at home on my visit. What else are you involved in? Volleyball, BPA, Band / Pep Band. Why did you choose RMC? 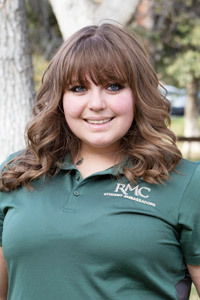 I chose RMC because it is in my home town, the campus is really cool and there's a really good pre-med program here. What do you love about RMC? I love the beautiful campus and small class sizes. Why did you choose RMC? 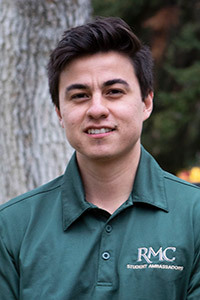 I chose RMC because of its location and atmosphere. What do you love about RMC? The tight-knit community and small campus. Why did you choose RMC? This school offered great opportunities and I wanted to experience living in a different state. Favorite Place in Billings: Hiking the trails up on the Rims. What do you love about RMC? The friendly and welcoming atmosphere as well as going down the central walkway in fall and seeing how beautiful Rocky is. Why did you choose RMC? It's an education on a more personal level. Having your teachers know your name instead of being a number is what solidified my decision. What else are you involved in? Golf, Campus Safety. What do you love about RMC? I love the "family" like feel RMC provides and the fun events RMC holds. Why did you choose RMC? 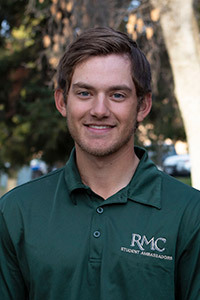 I chose RMC because I liked the small campus feel and the opportunity to build relationships with all of my professors. What else are you involved in? Choir, music department work-study, and athletic department work study. What do you love about RMC? I love the small campus. 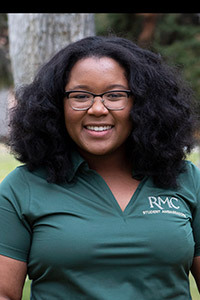 Why did you choose RMC? 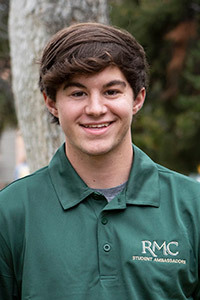 I chose RMC because of the small class sizes and the scholarship opportunities. What else are you involved in? Health Occupations Group (HOG) and Lions Club. What do you love about RMC? I love that RMC is a small school where students can talk to their teachers directly if they need help. I also like the small student body because you can get to know everyone. Why did you choose RMC? I chose RMC because of its location and the size of the school. What do you love about RMC? I love the campus, the tight-knit atmosphere, and the amazing professors. Why did you choose RMC? 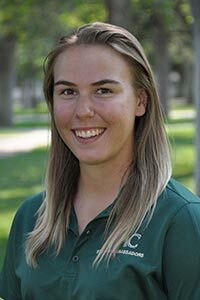 I chose RMC because it is smaller and the professors get to know you and care about your success. What else are you involved in? Peer tutoring, LEAP peer mentoring, and Business Professionals of America. What do you love about RMC? I love the small class sizes, professors, and friendly people. Why did you choose RMC? 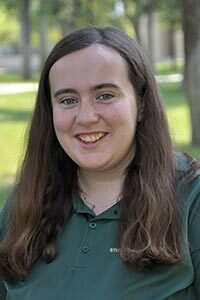 I chose RMC because I feel comfortable and at ease, I also love the Biology department and all it has to offer. What else are you involved in? I am planning to enroll in other clubs later on but am sticking with volunteering for now! What do you love about RMC? The small campus and tight-knit group of students and professors. Why did you choose RMC? 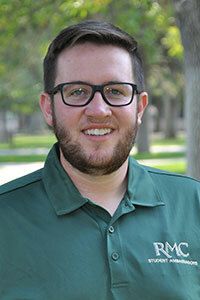 To play on the Men's Soccer team and because RMC has a great environmental science program. What else are you involved in? Environmental Club and Men's Soccer. What do you love about RMC? The small campus and how tight knit the school is. Why did you choose RMC? 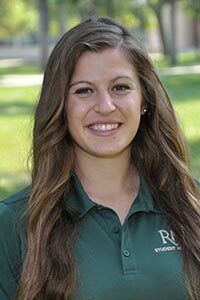 I chose RMC because it is close to home and the small class sizes that offer an opportunity to work closely with your professors. What else are you involved in? Health Occupations Group (HOG) and Track & Field. What do you love about RMC? I love the small college atmosphere at Rocky! You really get to know your teachers and they take an interest in who you are. You also get to know pretty much everyone on campus. 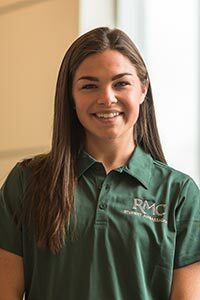 Why did you choose RMC? I chose Rocky because I really loved the atmosphere. My coach and teachers were super nice. Plus, I received a very nice scholarship to help me attend and pursue my dreams. What else are you involved in? 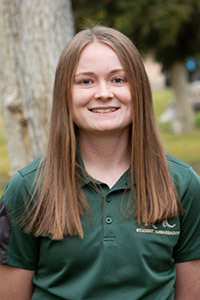 Women's Basketball, Rocky Connections Mentor, and Environmental Club.